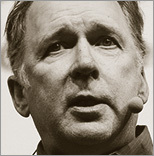 Ted Dunning is Chief Applications Architect at MapR Technologies and active in the open source community. He currently serves as VP for Incubator at the Apache Foundation, as a champion and mentor for a large number of projects, and as committer and PMC member of the Apache ZooKeeper and Drill projects. He developed the t-digest algorithm used to estimate extreme quantiles. T-digest has been adopted by several open source projects. He also developed the open source log-synth project described in the book Sharing Big Data Safely (O’Reilly). Ted was the chief architect behind the MusicMatch (now Yahoo Music) and Veoh recommendation systems, built fraud-detection systems for ID Analytics (LifeLock), and has issued 24 patents to date. Ted has a PhD in computing science from University of Sheffield. When he’s not doing data science, he plays guitar and mandolin. Ted is on Twitter as @ted_dunning.